When visiting Rio, I recommend staying in either Ipanema or Leblon, as these are the most tourist-friendly neighborhoods in the city, providing you with easy access to all the main attractions. Copacabana is still quite successful in its “tourist-appeal” but personally, I’m not a fan, particularly since it’s not as safe as Ipanema and Leblon (and doesn’t offer as many “trendy” places to go…). In my opinion, the only exception to staying in Ipanema/Leblon is if you’d rather stay at a boutique hotel, which is an experience in and of itself (see next post). Part of the Che Lagarto Hostels chain. Includes breakfast and free Wi-fi. All rooms have AC. 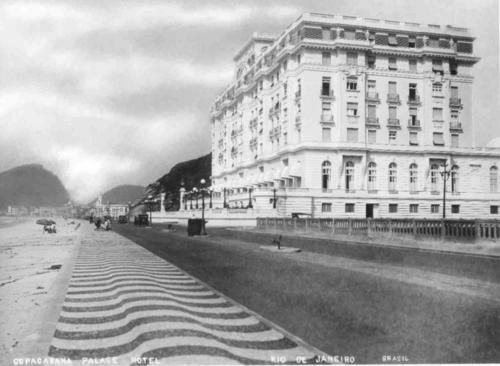 Probably the priciest hotel in Rio, but it does have great corporate discounts. E agora tem UPP em Sta, e lá tem outros hoteis lindos – que eu to louca pra conhecer – como 180 graus, Mamma ruisa….